By David Ponce on 03/25/15 • Leave a comment! By David Ponce on 12/22/14 • Leave a comment! 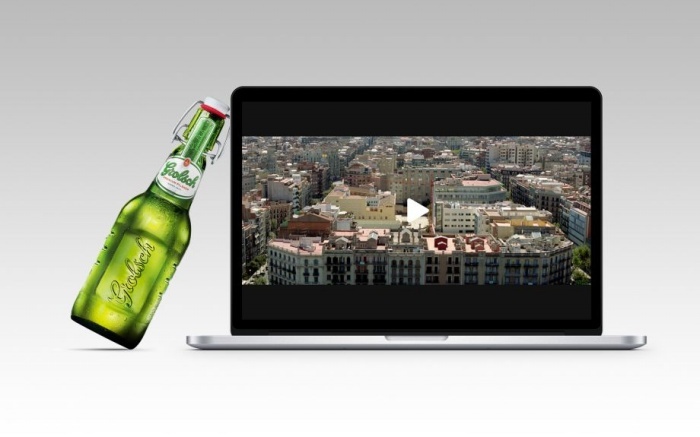 With a little bit of imagination and creativity, advertising agencies can often take a dull message (“Hey! New point-and-shoot camera!”) and come up with an angle that makes the product stand out. 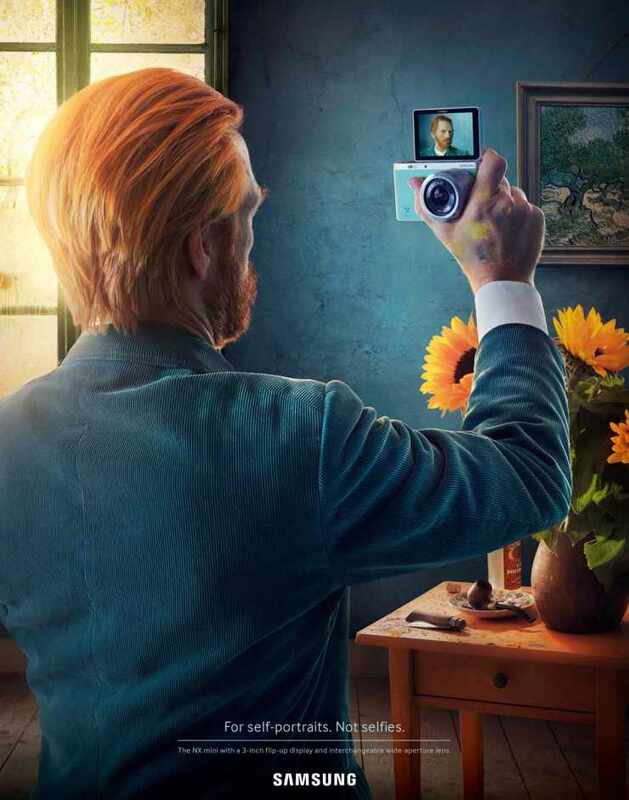 Take the above Van Gogh self-portrait… It’s an ad by the agency Leo Burnett Switzerland for Samsung’s new “NX mini [camera] with a 3-inch flip-up display and interchangeable wide-aperture lens”, and features three iconic self-portraits, re-imagined as if they’d been made by taking a selfie. It thus tries to elevate the banal act of taking a selfie into something more grandiose, implying that this camera will somehow make them more special. Yeah… nice try. A selfie is a selfie and the ad won’t make us want to buy a dedicated point-and-shoot that doesn’t do much more than what our phones can do. But… it’s still a nice try. Gotta give credit where it’s due. So hit the jump for two more of these ads. By Hazel Chua on 12/27/13 • Leave a comment! Every day, people look at their reflections on the mirror and mentally list down everything that’s wrong with their faces. Their pores. Their eyes. Their skin. Their hair. Their eyebrows. Their nose. The picture-perfect mugs of celebrities and models in magazines certainly don’t help any. 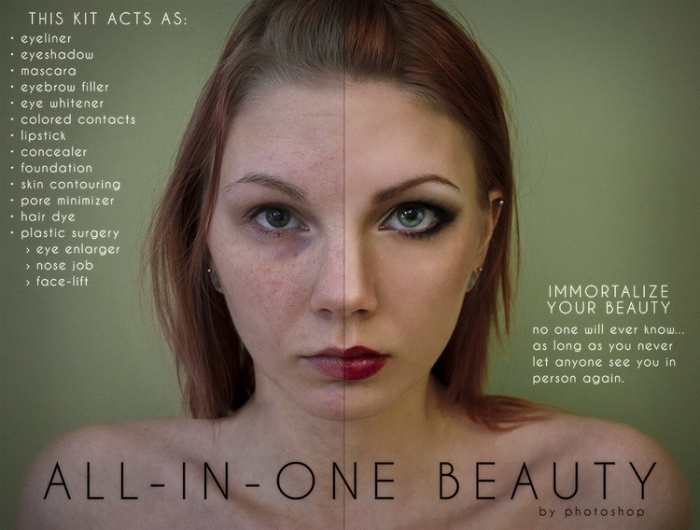 But what a lot of people don’t realize is that most of them look like that thanks to PhotoShop. Sure, there are a lot of natural beauties out there, but most images that appear in print media are retouched in one way or another. By Hazel Chua on 11/01/13 • Leave a comment! At first glance, these logos might not seem like much. You’ve probably already seen them thousands of times already, whether you just skipped over them while grocery shopping or actually use them on a daily basis. But if you take a closer look, then you’ll see why these logos are not your ordinary hand-drawn or computer-rendered logos: they were made using the actual products they represent. They’re part of a street art series called “Pro Bono Logos” by artist Dorota Pankowska. 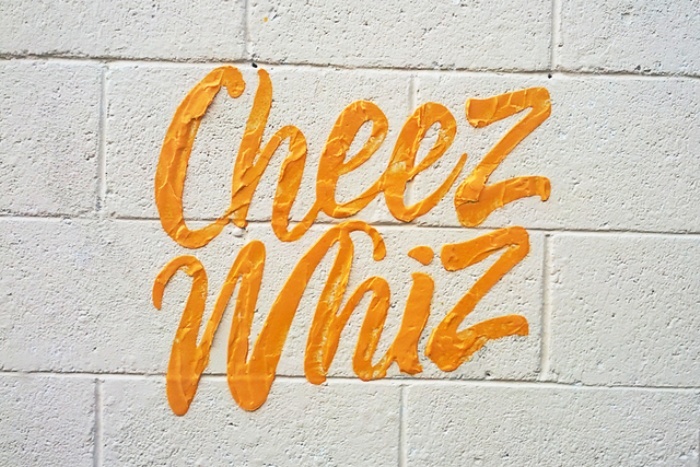 Armed with bottles of Cheez Whiz, jars of Maxwell House, and tubes of Colgate, Dorota took to the streets and recreated the logos by smearing cheese spread and coffee grounds on otherwise clean walls. By Hazel Chua on 07/29/13 • Leave a comment! So you found the perfect spot to take a photo as a souvenir from your much-deserved vacation. 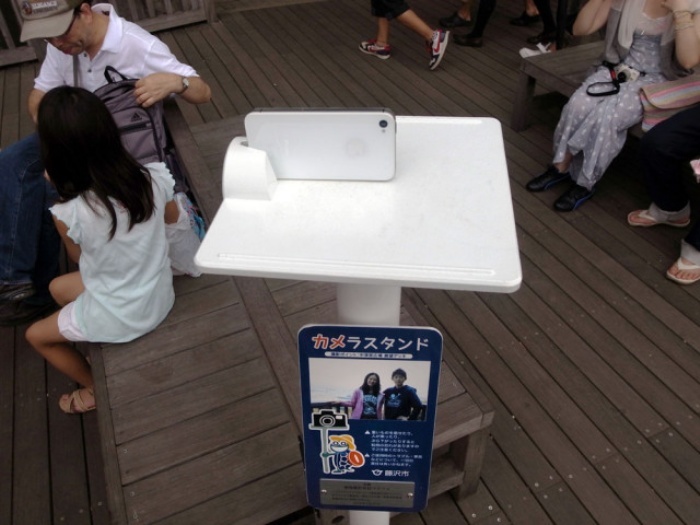 You could use a tripod, ask some passerby to take your photo, or use the clever public camera stand instead. 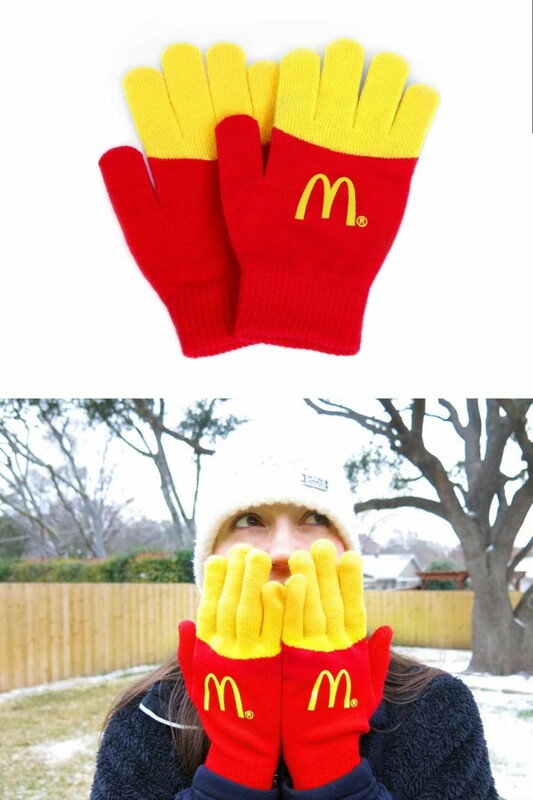 Unfortunately, the latter is only available in select locations, but hey, at least it’s another option. By Hazel Chua on 07/24/13 • Leave a comment! 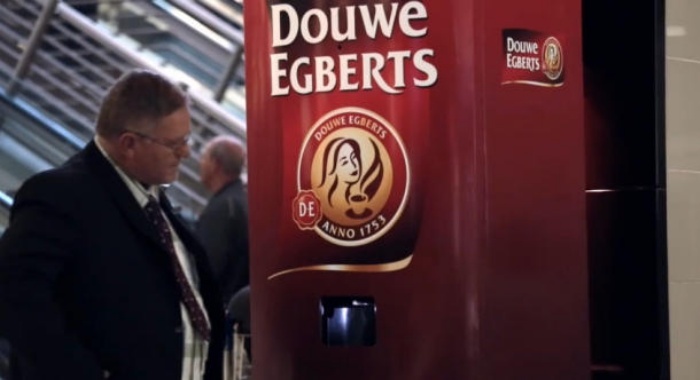 The international coffee company chose to install the unusual coffee machine in the busy O.R. Tambo International Airport in South Africa, where over 210 cups of coffee were given away to tired and weary travelers. By Hazel Chua on 07/04/13 • Leave a comment! This fur coat is definitely unusual. In fact, some might find it downright disgusting, as it’s definitely not what it might appear to be. What you think is the fur is actually hair–hair from the chests of living, breathing men. If you’re wondering why someone would create an abomination a coat like this, then wonder no more: it’s part of an ad campaign by dairy company Arla. They commissioned for the creation of the fur coat, which took designers over 200 hours to weave and put together millions of strands of hair, to promote the launch of Wing-co, which is their new milk drink that’s made for men.